About: Gujarat Secondary and Higher Secondary Education Board (GSEB) is state Government's educational organisation of Gujarat responsible for determining the administrative, the cognitive, and intellectual direction the state secondary and higher secondary educational system. Responsibility: The main Responsibility of the board includes Academics, Conducting Examinations and Reseach and Development. Exams Conducted: GSEB conducts two main exams which are Secondary School Certificate(SSC) exam for class 10th and Higher Secondary School Certificate(HSC) for class 12th in the state of Gujarat. Gujarat Board HSC (12th) Result 2019: The Gujarat Board HSC (12th) Science Results will be declared by May 10th and of General Stream will be declared on May 31st, 2019. Students can go to the official website i.e., gseb.org to check out their Science 12th Result 2019. Time Table: Gujarat Board of Secondary and Higher Secondary has released Gujarat 12th/HSC 2019 Time Table on the official website. Date and Duration: Gujarat Board HSC (12th) exam 2019 will start from 15th March(tentative) to 27th March 2019 and the Timing will be 3 hours. The board publishes the Gujarat Board HSC (12th) Timetable 2019 for the general and science students both other and exam will commence in March 2019. Following table as under is the timetable of Science stream of Gujarat 12th/HSC 2019. Note: Candidates can also get the Commerce as well as Arts Time Table 2019. Availability: The Gujarat Board 12th/HSC Application Form/registration form 2019 is available online on the official website of Gujarat Board i.e. gseb.org from November 2019. Online Form: The Candidates appearing 12th Board exam under Gujarat Secondary and Higher Secondary Education Board will have to fill the Application Form under the guidance of the college Authority. The board has provided step by step registration process guide which needs to be followed, the registration is open for the science and as well as for general students. Official Website: Candidates appearing for 12th/HSC Exam under Gujarat Board needs to go to the official website of GSEB to download the 12th/HSC Admit Card 2019.Whereas the same will be provided by the school authority. 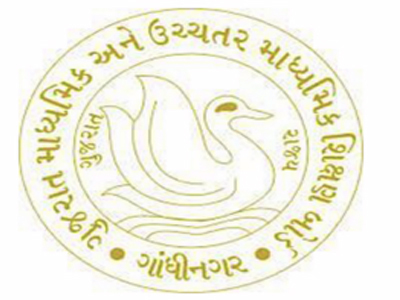 Admit Card Date: The Gujarat Board HSC (12th) Admit Card 2019 will be available from the end of February(tentative) 2019. The Candidates are required to download the Admit Card and plan their study timetable accordingly prior to board examination. Note: Candidates are required to carry their Gujarat Board 12th/HSC Admit card in all Exams. Without admit card students will not be allowed to appear for the Exam. Gujarat Secondary and Higher Secondary Education Board will declare Gujarat Board HSC (12th) Result 2019 of General and Science students on separate dates in the month of May(tentative). The Science Stream Result will be declared on 10th May 2019 and General stream result on 31st May 2019. Credentials: Candidates who have appeared Gujarat Board 12th/HSC Exam 2019 can check their Result by entering their Roll Number in Result section on the official website. To get Latest updates and Information about the Important Dates and Notification of JEE main visit the Section JEE Mains . Get the complete details of NEET examination 2019 by visiting the section NEET examination 2019. Find the latest details about the CLAT Exam in the CLAT section.